Above Photo: SCREENSHOT VIA FACEBOOK. Sgt. 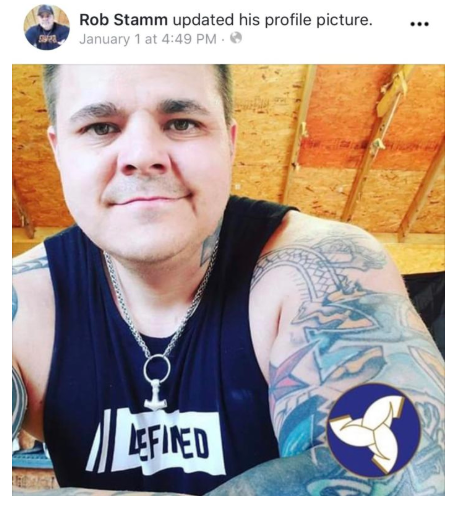 Robert Stamm posted a photo to Facebook last month overlaid with the logo of the Asatru Folk Assembly, which is designated as a hate group by the Southern Poverty Law Center. The Facebook account for a Virginia police sergeant shows connections to a “neo-Volkisch” white nationalist group.